Set this to Yes if you would like this category to be selected by default. Wildcats are great adventurers and welcome the opportunity to explore the world together. Be a frequent traveler with us and become part of a very special group of Wildcat Trekkers. Brochures for all upcoming alumni trips. Advance notice of exclusive offerings. Special gifts for new travel milestones. Opportunities to provide input on future trips. benefits get better and better! Thank you to all past travelers for your support. We look forward to traveling with you again. 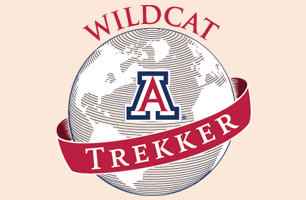 If you are not yet a Wildcat Trekker, we hope you join us in exploring the world together. To request brochures or a free catalog of UA Alumni Travel tours, click here. Travel as a UAAA member and take advantage of hotel, flight, and car rental deals. View member benefits. The UAAA has selected Travel Insurance Services to provide travel insurance to alumni and friends. Astronomy Camp seeks to motivate all students to further their education in science, math, engineering, and technical fields.